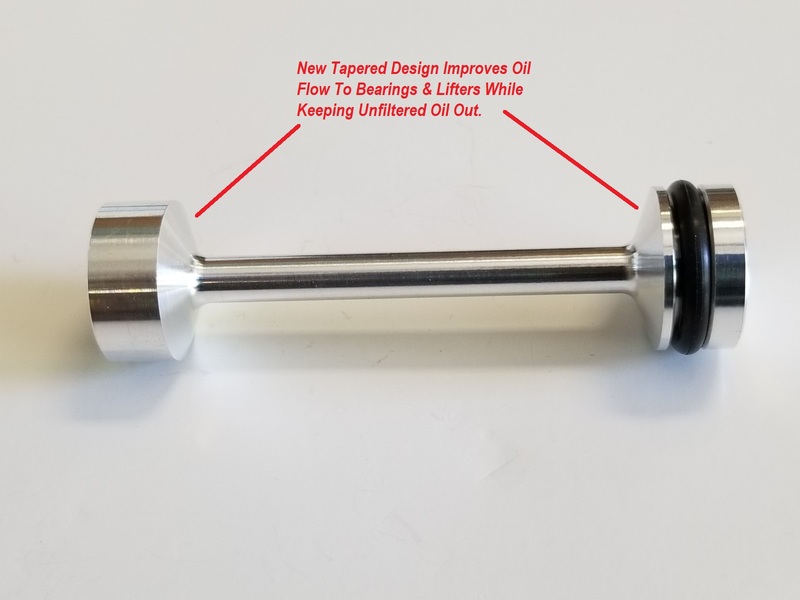 New Tapered Design Improves Oil Flow! 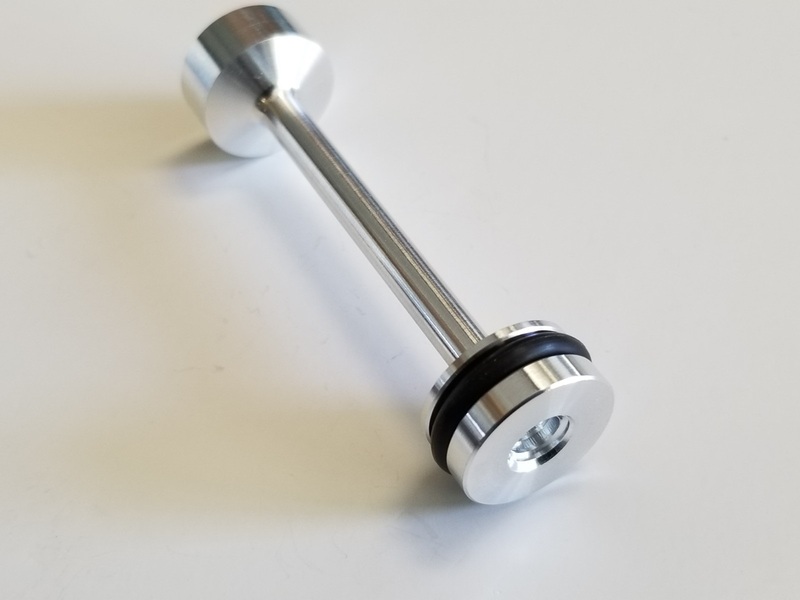 The Oil Galley Barbell in your LS based engine is something that is over looked, and yet it serves a very important mission of directing oil to the oil filter. 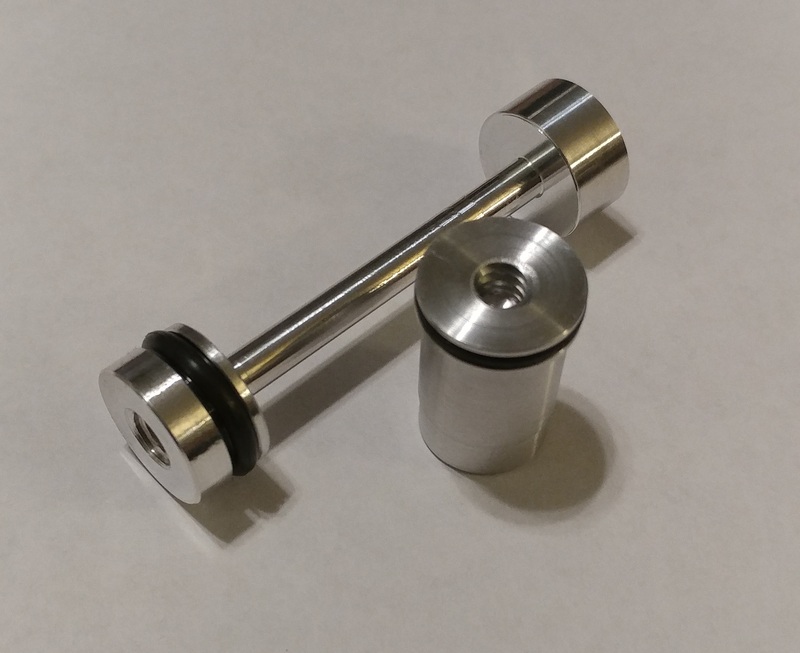 Our Precision Fit LS Billet Barbell with our New Tapered Design stops unfiltered oil & increases flow. 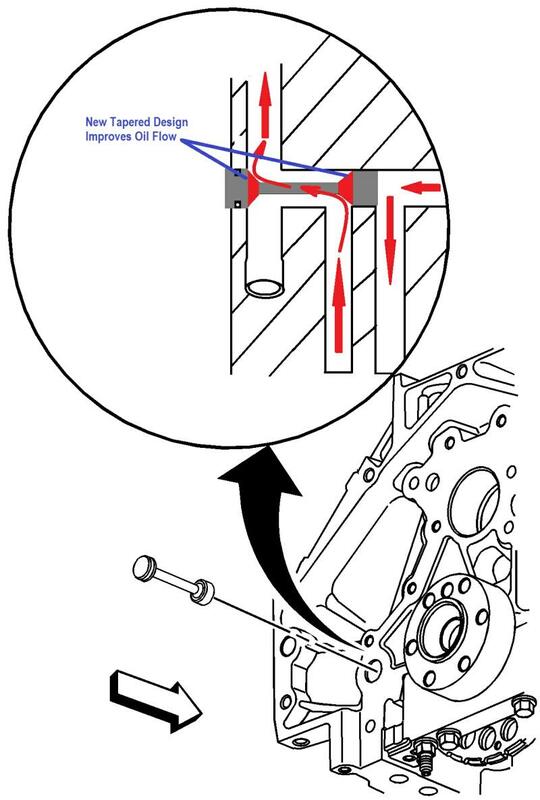 If oil leaks pass the Barbell it will go unfiltered directly to the Cam Bearing, Lifters, Crank and Rod Bearings. The factory Barbell is approximately .020” to loose allowing particles as big as 500 Microns to leak passed. Your oil filter will filter out approximately 25 Microns depend on the brand of filter. 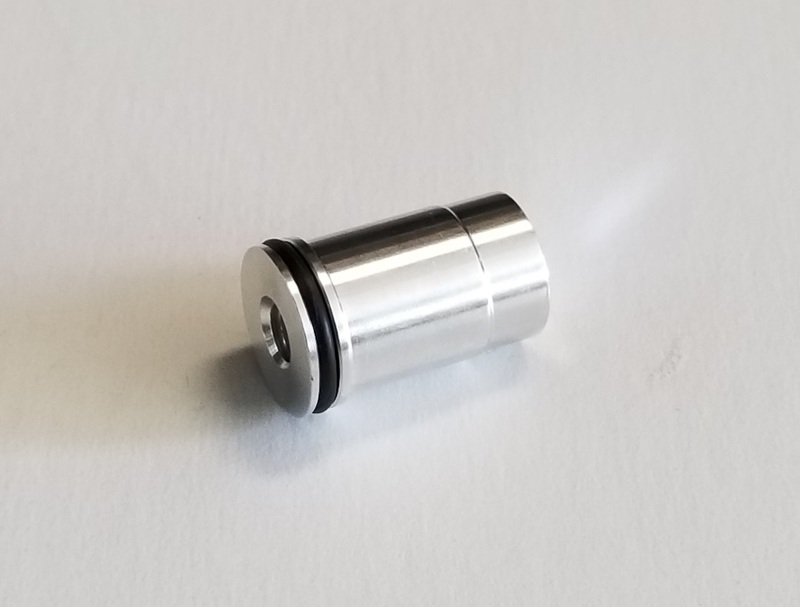 Our 6061 Aluminum Precision Billet Barbell fits with approximately .001” clearance which will let only about 20-25 Microns pass by, which is the same as the filter. Another important part is the shaft of the Barbell. The oil must flow around it to get through to the oil port. 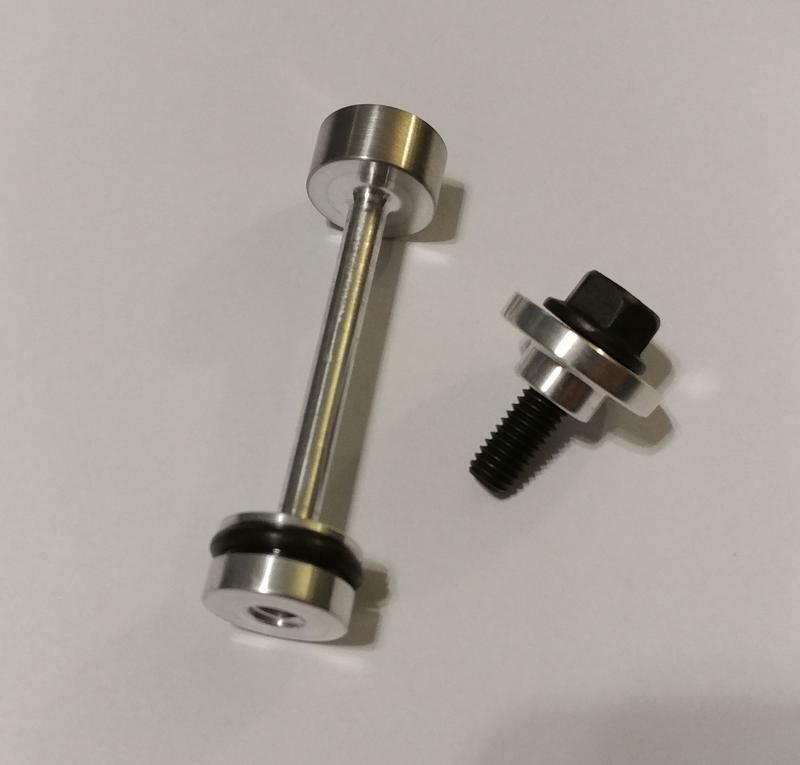 Our Billet Barbell has a 30% smaller shaft, along with new tapered design makes much less flow restriction. 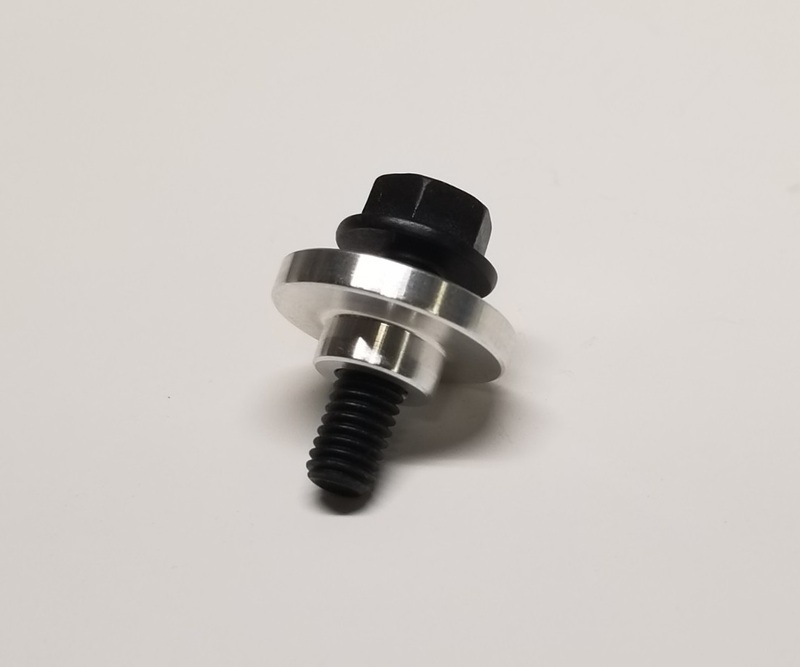 We have also added a 1/4-20 threaded hole in the end of our Barbell for easy removal and replaceable High temp Viton O ring. 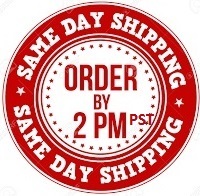 Just screw a 1/4-20 bolt in and pull the barbell out. No more digging and prying to get the factory one out. Why would you ever put the plastic factory Barbell back in your expensive LS engine and let unfiltered oil in? Tech Note: Always make sure your oil is at operating temperature before running your engine hard! 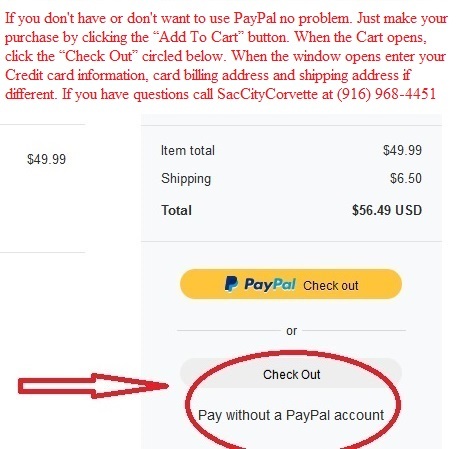 Also use a quality oil filter! 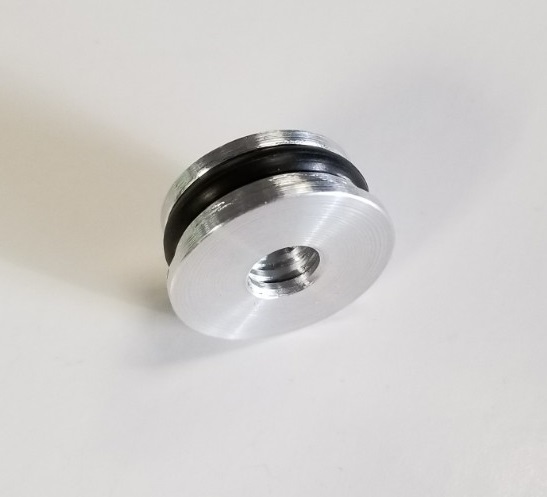 Click here to check out another product that will stop unfiltered oil from entering your bearings! 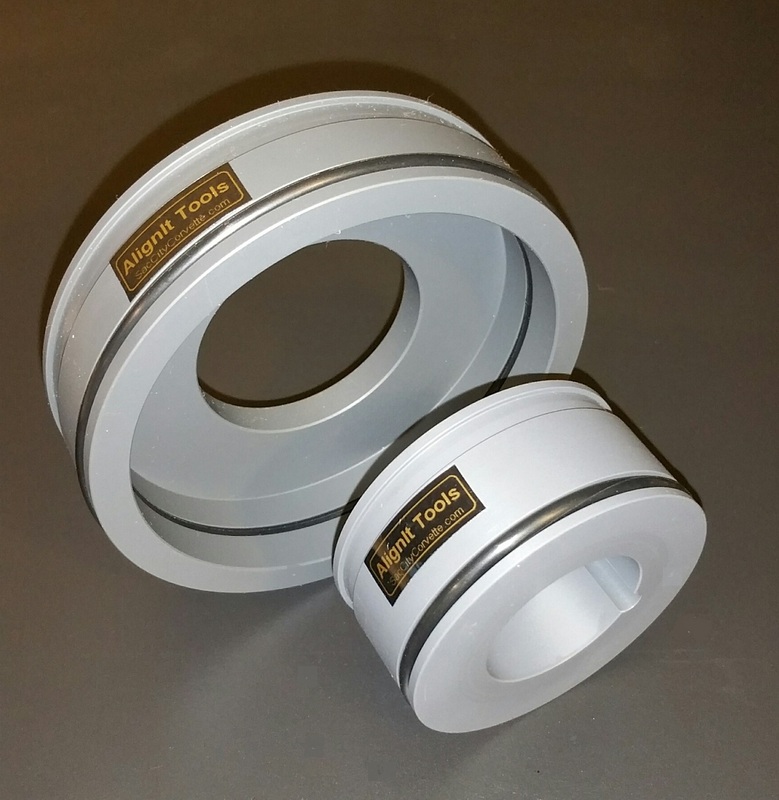 Check Out These Oil System Improvement Products! 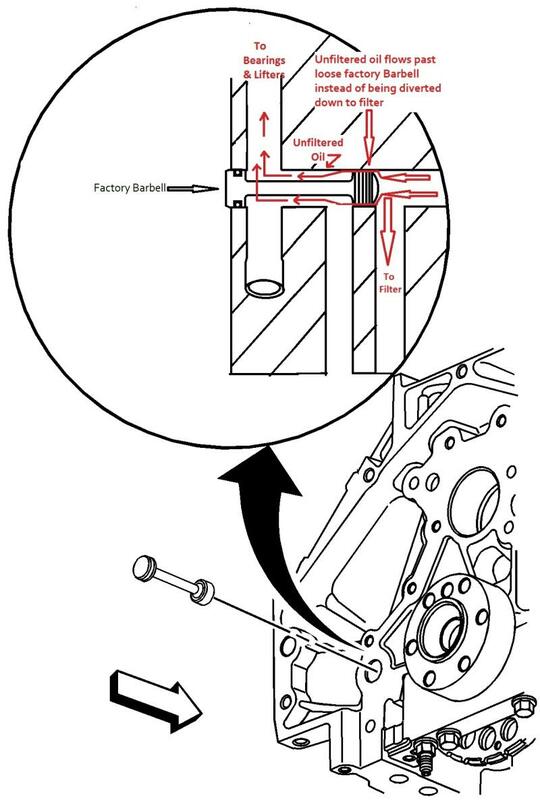 GM did not put alignment dowels for the Rear Main & Timing Covers on the LS family of engines. Instead, in the service manual they recommend using the very expensive KM tool. 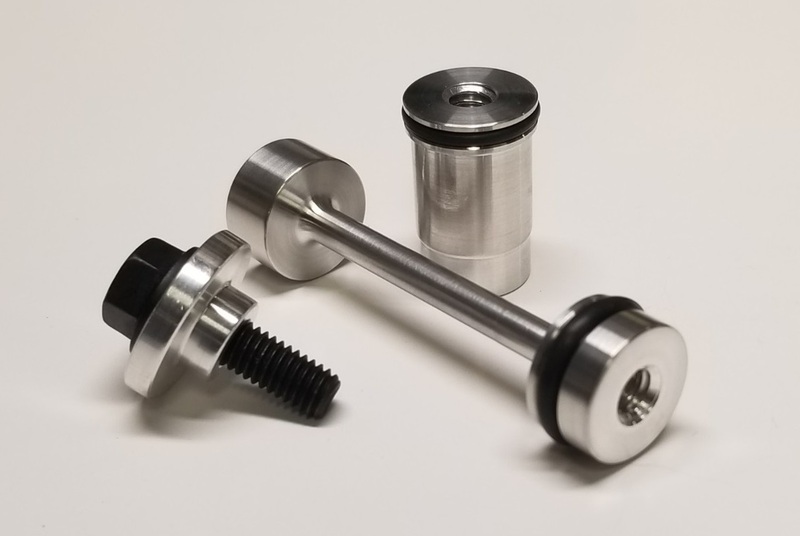 Many customers purchase our inexpensive AlignIt Tools along with the Barbell or Oil Improvement kits to make sure that the covers are perfectly aligned preventing premature failure of the seal and do overs.